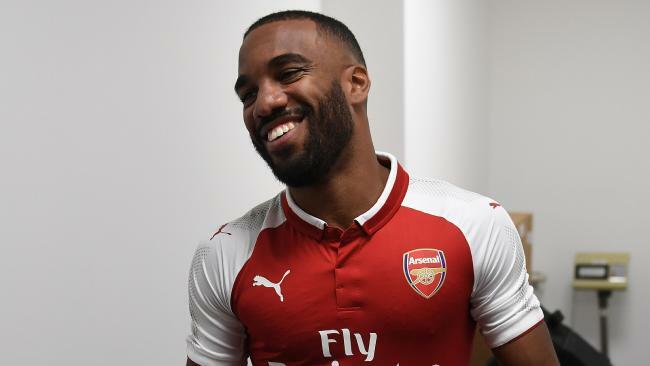 Former Lyon striker, Alex Lacazette as revealed that he turned down a move to join Paris Saint German in the summer before he signed for Arsenal. Most of the transfer reports about Lacazette were about a potential move to Spanish team, Atletico Madrid before it was held back due to a FIFA-imposed ban but the Frenchman has revealed that he had another option which was PSG but declined a move to join the Ligue 1 giants before signing for Arsenal. It is believed by some that Alex Lacazette’s refusal to join PSG was born out of the fear of battling for his spot in the club’s starting lineup against their man centre-forward, Edison Cavani as he needed more playing time to make the French national team with the World Cup on the horizon. “We talked to PSG but I knew it was not where I wanted to go. In France, I would only play for Lyon,” Lacazette told RMC Sport. “I believe in the title, whether in the Premier League or in the Europa League,” he added. Report suggests that the 26-year-old might have declined the move to join a Champions League team like PSG where he could be playing alongside Kylian Mbappe and Neymar for an Europa League bound team like Arsenal out of unadulterated loyalty to his boyhood club Lyon. The France International footballer joined Arsenal on a 5 year contract for a club record fee of £46.5 million and has since made his mark by banging in 4 goals in his premier league campaign this season. His performances so far indicate that the Frenchman is enjoying his stay at Arsenal and hoping for a successful campaign this season. Next Story → Can Alex Iwobi succeed Mesut Ozil?